10+ years of experience in Hong Kong Limited Company registration and maintenance. 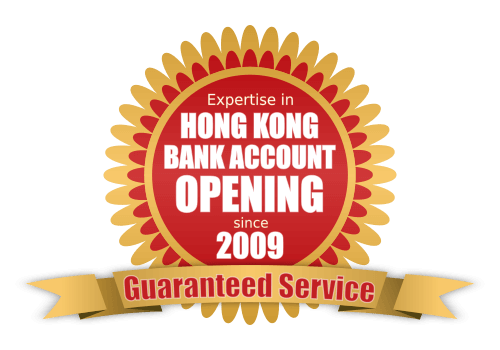 Qualified Hong Kong bank account opening intermediary of Hong Kong banks. Paid in confidence, online checkout by PayPal is available. Hong Kong Inland Revenue Department (IRD) has been ordered to waive the 1-Year Business Registration Fee (HK$2,000 / US$250) for 1 year, starting from 1st April 2019 to 31st March 2020 (Waiver Period). Therefore, application for Business Registration Certificate within the Waiver Period will be free of charge. We have reflected this fee reduction on this page since 28th March 2019. The Levy on Business Registration, and Incorporation and Annual Return Fee, which are collected by IRD and the Company Registry respectively, remain unchanged. AsiaBC sets up Hong Kong private limited companies (commonly known as “Hong Kong limited companies”), no matter where you are and what your nationality is. Hong Kong limited company is the best business entity for local and foreign investors and enterprise, and for investment holding, global tax structure and trading businesses. We guarantee no hidden fee. * The Fee of “All-round” and “Advance” packages have included refundable USD 100 credit in your delivery-expense account for letters forwarding. The first step of Hong Kong incorporation is to make a Company Name Check. Request it for FREE! Are your ready to incorporate? Proceed to checkout. Hong Kong is a premium jurisdiction for doing international business, especially famous for not only its global banking facilities with solid track record in reliability and efficiency, but the difficulty in bank account opening is raising. Since 2009, we have assisted worldwide enterprises to successfully open and re-activate accounts in Hong Kong banks. We are delivering tailor-made KYC & CDD compliance support to non-Hong Kong residents to greatly enhance their bank accounts application approval rate. Starting at US$5,500 per each successful Hong Kong account opening, our specialists spend 28 man hours to manage one customer on one bank account opening application, our task list include not only the banks’ KYC and CDD compliance procedures, but also include studying your corporate and financial background, selecting the most feasible bank, drafting the supporting documents to fit the bank’s need the most, and following up the application after bank interview. You will have an appointment with one of the Hong Kong renowned banks for corporate account opening, added that you will have all the required documents before your come to Hong Kong for the bank’s meeting. Hong Kong Bank Account Opening Arrangement: To assist you to manage the Hong Kong bank “Know You Customer” policy, we review financial information and documents of you and your company members. After that, we will set up an appointment in one Hong Kong bank for business account opening application. Certified True Copy of Incorporation Documents (by Hong Kong CPA): We prepare 1 set of certified true copy of your Hong Kong incorporation document for your Hong Kong bank account opening. This document is certified by a Hong Kong Certified Public Accountant (CPA) and is accepted by all banks in Hong Kong. It is a solution of remote Hong Kong incorporation, even you have no presence in Hong Kong. Company Secretary – Nominee: We act as your company secretary of your company from the start of registration and will take this position for one year after incorporation. Registered Office Address with Letters Forwarding: We share our Hong Kong commercial address with your company, this address will remain your company’s Registered Office Address for one year. During this period, we forward only government and bank letters once a month and deduce the delivery expense from your delivery-expense account of USD 100 delivery credit (refundable). It provides the incorporation forms creation, filing and submission to ensure hassle-free handling of your Hong Kong company registration process. Incorporation handling: We handle the setup of your Hong Kong company, we do company name search, produce the Article of Association for your company, file the government incorporation form for your signature, and submit the signed form to the Companies Registry. Government Disbursement: We settle the application fees of the Certificate of Incorporation and the Business Registration Certificate of your company (1 year license, worth HK$3,980 /~US$510 HKD1,980/~US$260 valid for application between 1stst March 2020). For Basic package, please send us the documents of your Company Secretary and address proof of your Registered Office Address. Remark: We will act as your Company Secretary and share our address as your Registered Office Address in Advance and All-round packages. The first step of incorporation in Hong Kong is to check if your proposed company name is available. Request a name check for FREE! Can I choose shelf company in the above packages? No. The above packages are not applied to Hong Kong shelf company (a.k.a ready-made company). Can I buy shelf company from you? Yes, we can. Just tell us your requirement of the age of the shelf company, we will send quotation to you. Since there are some extra costs in maintaining shelf company, the cost of buying shelf companies are higher than that of forming new companies. I cannot find the item “Company Kit” or “Green Box” in you packages, why is that? To save you money from making and storage of standard but unnecessary Company Kit, we prepare Company Kit by request, and we have removed this tem in our Hong Kong company formation packages. Hong Kong government and banks have widely adopted online services, you can manage your Hong Kong company via the internet online regarding its business operations, bank transactions and government services applications, Company Kit loses its importance in Hong Kong company formation. Company Kit is a term created for marketing purpose, it refers to a set of hardware including printed copies of your company’s Certificate of Incorporation & Business Registration Certificate, the Articles of Association, the Share Certificates, and the Statutory Book; common seal, signature stamp, and 22mm round stamp bearing your company name; and a green cardboard storage box with your company name printed on it. There is no statutory requirement to Hong Kong companies in preparing these items, you can buy them optionally. How long can my new Hong Kong limited company be ready to use? After collecting the signed incorporation forms and payment, we will then submit your application to Hong Kong Companies Registry. The Registry takes 3 to 5 working day to process the company registration application, we will email you the application result and incorporation documents in no time. Please check the “details” of each package for the complete schedule. What incorporation documents will I get from AsiaBC? Incorporation documents refer to Certificate of Incorporation, the Articles of Association, Incorporation of Local Companies Form NNC1 and Business Registration Certificate. We will send the incorporation documents to you by email. The electronic form documents have legal effect, so we will not produce printout of your documents for you. Why "same day online incorporation" is not available? Hong Kong Companies Registry (CR) offers online e-incorporation service to allow incorporation in same day. However, the service has more stringent requirements which need you to provide certified personal identification documents by Hong Kong professionals for CR to complete “user registration”, leaving this service more suitable for person who incorporate Hong Kong companies frequently or in bulk quantity. We stick to offline hard-copy submission method which can save you from the burden of “user registration”. We have an post to talk about it here. What will AsiaBC do as the company secretary nominee of my company? We take the position of your Company Secretary only for company registration purpose. We can provide all range of duties as your company secretary for your company but we will charge separately on all services to be carried out on the capacity of your company secretary, actual service charge will be quoted separately. How does AsiaBC handle my bank and government letter? We will forwards all the bank and government letters of your company to a designate address once every month, postal or delivery expense incurred in sending the letters will be deduced from your delivery-expense account with USD 100 credit initially. Please ensure that your designated address is correct. Can I use this shared address for receiving other mails? No, you cannot. This shared address can only be used as your registered office address only for company registration purpose and communication with the government and the banks. We will not receive any letters from 3rd parties, parcels, or packages. If you want to use this address as your business correspondence address of Hong Kong company, please purchase our Virtual Office Service. What will happen when I run out credit in my delivery-expense account? We will stop forwarding the letters when the account does not have enough credit. You can recharge your account anytime during the service period. Which Hong Kong banks can I choose to open the corporate bank accounts? Am I assured that the selected bank will approve my account opening application? Although we put our best effort in assisting your account opening application, the Hong Kong bank account opening service included in “All-round package” does not come with any guarantee. In case that the application is not approved by the bank, our service fee is not refundable. Tip: We would recommend our “Hong Kong Corporate Bank Account Opening Arrangement with Refund Guarantee”, this service can assure the approval of your bank account opening application in prior to submission of application to the selected bank in Hong Kong, and offer refund protection to you in case the application is not success, here is detail. We thank for our customers’ long-term support to AsiaBC. Feel free to reach us for professional answers!